built-in scripting language, which helps to automate tasks specific for your particular situation. 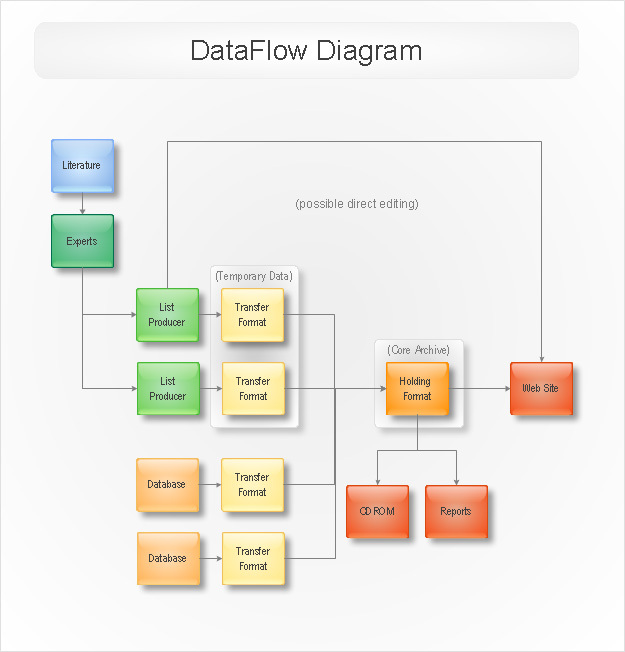 Data Flow Diagram At development of real application flowcharts are widely used for clearing processes on which business-logics of the application will be based. ConceptDraw allows to more tightly draw art designers, managers and users to the process of GUI design. 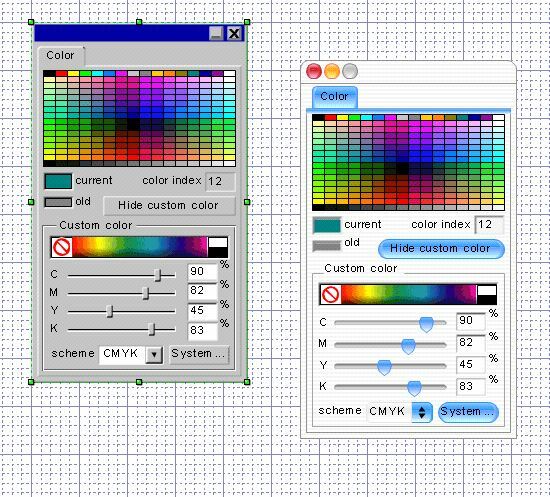 Now libraries of controls for Windows 95, Windows XP, MacOS and MacOS X are available to all of them and they can share their vision of Windows, menu and web-forms on various platforms with developers. 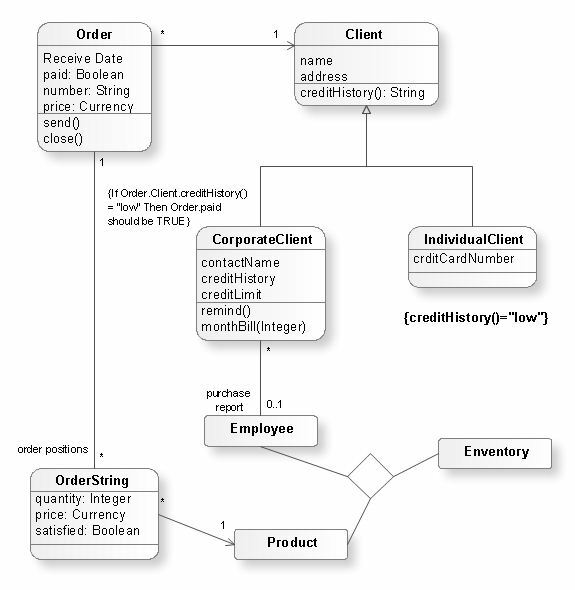 ConceptDraw is a good means for visualization of information of any kind. The program features powerful graphic possibilities. Thus, on the ready graphic kernel ConceptDraw the rest products of the line have been developed: ConceptDraw PROJECT , ConceptDraw MINDMAP . This powerful graphic kernel (2D-graphics) is supported by a number of open formats (including XML). 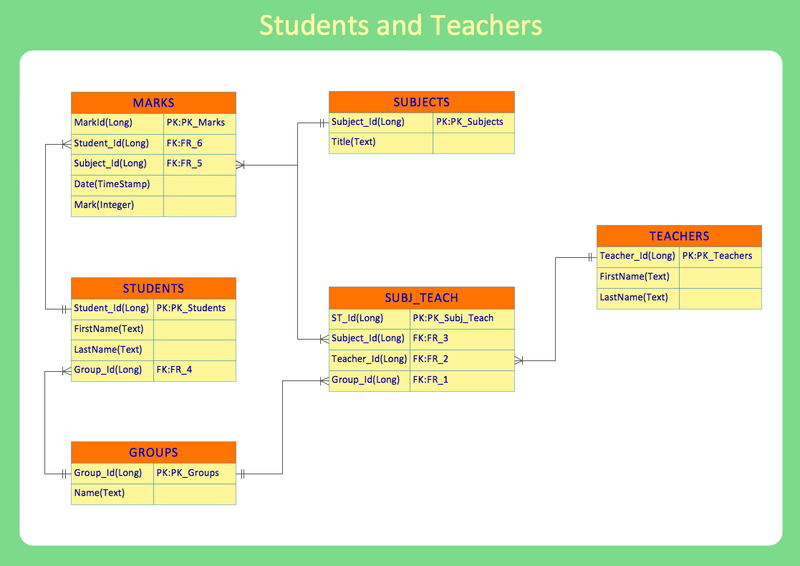 To this add the flexibility of data processing, connected with the scripting language ConceptDraw Basic (included in version V), and also the flexibility in parameterization of objects, which is provided by the whole table of the object parameters (which is available for editing even from the program's interface). 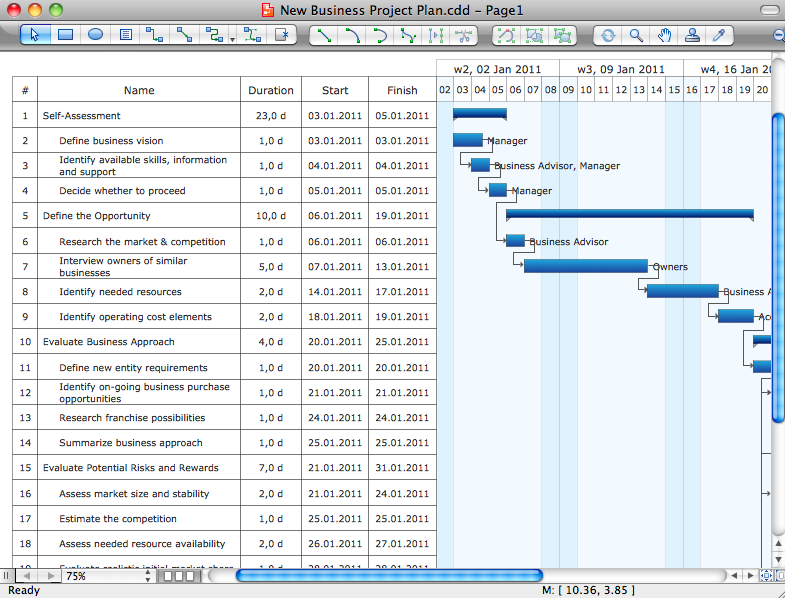 So in the end it becomes clear that visualizing of information in ConceptDraw is a good idea.